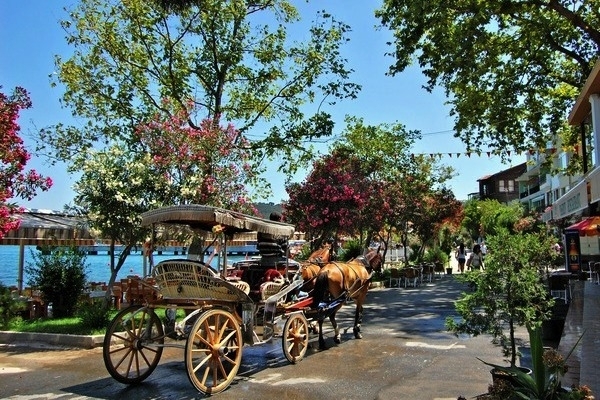 Our destination is Buyukada (Pringipos in Greek), which is the largest of the isles. A 1,5 hour journey until you get there, through beautiful landscapes! The moment we arrive on the last island, horse-drawn carriages will be waiting for us at the park so we can start an enjoyable ride through the pine trees and the narrow roads. You can even ask for some spare time to visit Aya Yorgi -a monastery on the top of the hill- which is an impressive place.